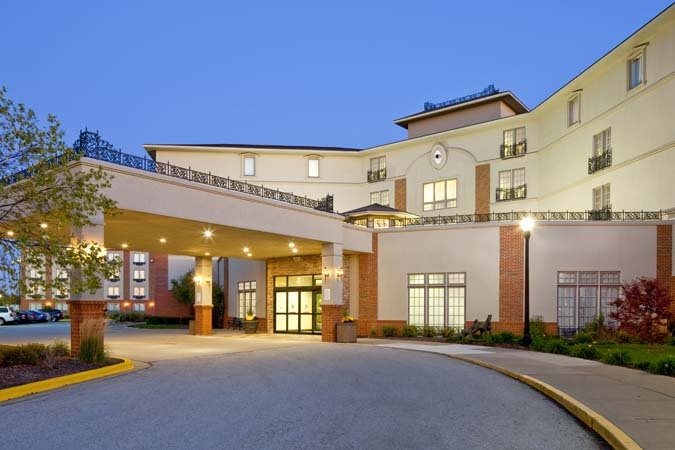 Meeting Space: 15,000 sq ft Total Units: 197 The DoubleTree by Hilton Hotel Bloomington is located in the heart of Central Illinois at the corner of Brickyard Drive and Veteran's Parkway in Bloomington. Boasting 185 guest rooms and 12 suites, the hotel also offers 15,000 square feet of meeting space that can accommodate up to 800 people. It's everything you?ve ever wanted in your convention hotel- and then some. Click here for a virtual tour of the ballroom! Click here for a virtual tour of entire hotel!